Imagine students learning about totem poles from students in Powell River, BC, hearing Newfoundland tunes played by students in Trinity Bay, NL, and exploring the complexities of life in an Arctic community with students in Kangiqsualujjuaq, QC! “A Kids’ Guide to Canada – By Kids, For Kids” (Un guide du Canada – par des enfants et pour des enfants) is a unique, teacher-led project providing endless opportunities for Canadian Kindergarten to Grade 8 classes to connect and learn about Canada from each other, from coast to coast to coast. The project is interactive, inquiry-based, cross-curricular and bilingual, and has been created by classroom teachers volunteering their time and expertise across the country. And best of all, thanks to our many volunteers, partners and sponsors, it’s completely free! The Kids’ Guide to Canada project offers an amazing opportunity for every K to 8 student in Canada to make a personal contribution of lasting meaning and value: to help create the first multilingual and multicultural online guide to Canada ever made BY kids and FOR kids. And in the process, they have a chance to meet and learn with peers across vast geographic and cultural differences, and help build a new era of “understanding, empathy, respect” (Truth and Reconciliation Commission of Canada, Call to Action 63.3). The project has two essential components and two sections which are optional. The heart of the Kids’ Guide project is having students investigate and create introductions to the land and people of their local neighbourhood communities (not the entire city or town, but the area in which they live their daily lives) and from their point of view. Students are encouraged to think: If a student came from far away to visit my community, where would I take them, and what would we do? As a teacher, what is your role? It’s as simple as 1-2-3. Go on a community walk with your students. 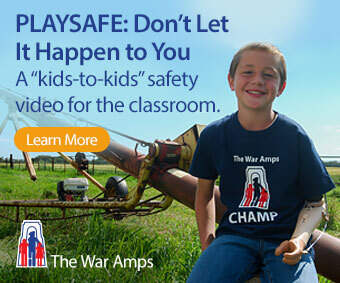 Have students take photographs or create artwork to show what they value in your school’s local community. Of course, your participation could also take the form of an in-depth inquiry, with students demonstrating their learning through many different tools and formats: photo essays, handmade models, poems and songs, videos, story maps, news reports, famous people profiles, and so on. Your students have an opportunity to use their voices and share their knowledge with an interested and authentic audience. There are no topic requirements, so teachers are free to use the project to achieve curriculum expectations in any subject area using whatever tools are available—whether pen and paper or different technologies. Check out the current state of the Kids Guide to Canada at bit.ly/akgtc-map and click on any dot to view the student content posted there. Everything you might need is provided—from project ideas to parental consent forms, from lessons for students on such things as Cross-Cultural Communication and Digital Safety, to sites offering free images, photographs and music, and a host of mini-videos to support both you and your students in the project. Extra support is also available for communities lacking reliable Internet service. Creating a way to find and connect classes across Canada to pursue deeper conversations and collaborative learning experiences has been an important goal of the Kids’ Guide project. To do this, teachers in the project can search for other teachers interested in connecting their classes on a private teacher registry on the Digital Human Library (dHL). The dHL is located on a secure Canadian server to ensure full teacher safety and security. Tools used to connect your classes will depend on the resources available in each location: from old-fashioned snail mail, parcel post and conference calls, to voice recordings, video exchanges, emails, blog posts, online spaces (like Edmodo, Google docs, Voicethread and Padlet), radio or Internet broadcasts, and video conferences. Once registered, you will have access to a wealth of weekly activities and resources aimed to help your students both share and learn about different communities across Canada. And since they are all optional, you can opt in or out as you please. 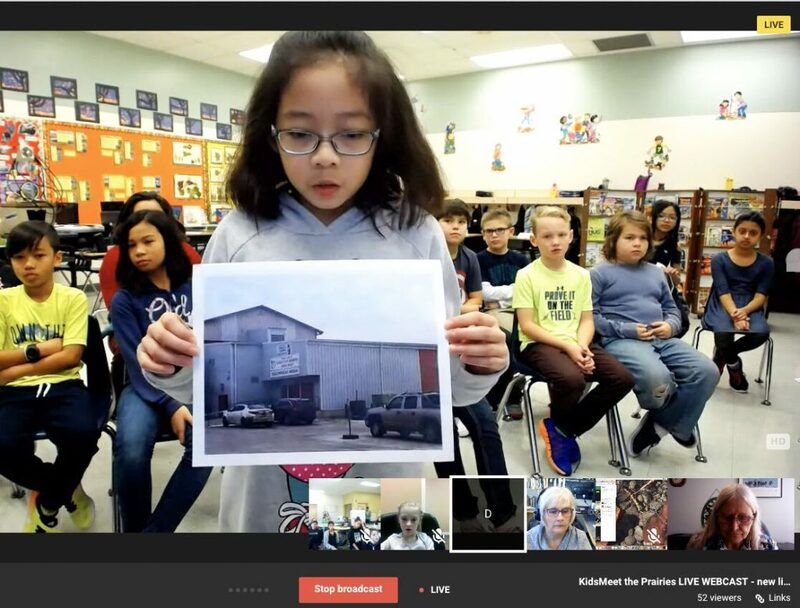 Imagine your students learning about Prairie coulées in a live “KidsMeet Canada” student webcast from Calgary, or comparing life in the coastal fishing communities of British Columbia and Quebec. Imagine them learning history by interviewing a community elder, or learning Canadian geography by solving an exciting Mystery Class Challenge. And imagine your students discovering the uniqueness of your local community through a weekly photo challenge, or exploring local Indigenous cultures and helping to preserve Indigenous languages. Thousands of K to 8 students across Canada have already begun to SHARE, CONNECT, and LEARN about Canada through this unique project. Register to include your students’ voices in the conversation, and help us build a world of positive new relationships among Canadian teachers and students from coast to coast to coast. Cathy Beach is a multiple award-winning educator with 45 years of experience working in the fields of elementary outdoor and classroom education. She founded and was Executive Director of EarthDay 1990 for Ontario, she is a Past-President and Elder for the Council of Outdoor Educators of Ontario, and has quietly provided years of educational leadership at local and provincial levels throughout Ontario. This article is from Canadian Teacher Magazine’s June 2018 Issue.